I think it was the bassist Chris White who introduced me to Grady Tate, back in the ’60s, when I was with Dizzy. I hadn’t heard him before, but I knew him by reputation. Before that time he was known for doing a lot of television work, with Lena Horne and Peggy Lee and people like that. So he was well versed, and a well-rounded musician. I think the first time we ended up playing together was on a record, and I loved what he did. We ended up performing together a lot. We used to do this tour together in Japan called “100 Gold Fingers,” which was a show with 10 pianists; we did it every other year. The rhythm section on this tour was Grady Tate and Bob Cranshaw, and Grady could play anything. 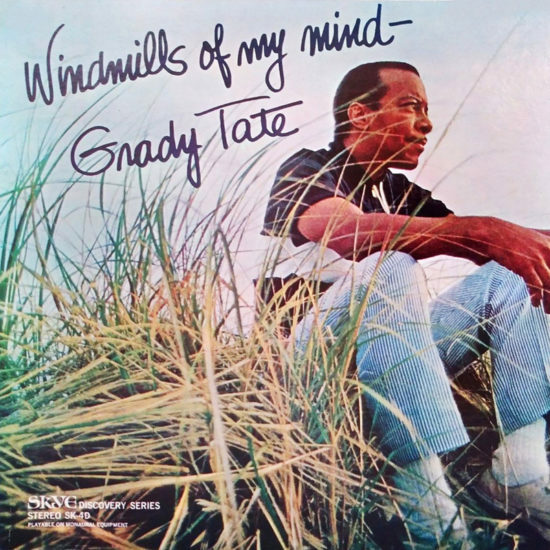 He was also one hell of a singer, which I didn’t know at first, until I heard “The Windmills of Your Mind.” I remember I said, “That’s Grady Tate? Wow!” I actually hired him a few years ago, before he got sick, to sing a couple of my songs with me at Jazz at Lincoln Center. There is also a recording of him singing on one of my records, The Traveler. When we were touring Japan we would often hang out after the show, and he’d always want to sing. He really was marvelous; he had a great voice. Part of the reason he was a great singer as well as a great drummer was because he was very sensitive on both counts. I love that feel, that taste and that sensitivity. Mostly you can only get that from older, more experienced players, and Grady was a favorite of mine in that regard. He had what we call “tip”—he knew how to tip. His playing was like a low flame, always hot but never boiling over. One thing I liked about Grady was his cymbal beat and his sense of swing. It was unobtrusive but it was there; it was solid, and it was supportive. He made you sound good. He made it very easy to play—not safe, but comfortable. You might say he made it easier for me to take chances. We didn’t do a lot of hanging out beyond the music. By the time we were working together we each had a family, so there wasn’t a lot of time to spend hanging out. But when we did spend time together it was a lot of laughs and a lot of fun—nothing too serious. We were professional friends, I would say: Good buddies who could hang out and have fun, but the music was the main thing. I believe the last time we worked together was actually the very last time I saw him. It was a few years ago at Birdland. It was his gig, and he was fronting a trio. It was a great gig. Even then he was starting to forget things; he would call the same song several times in a set. But his voice wasn’t diminished at all. He sang great. Along with his playing, I’ll miss Grady’s sense of humor. Whenever we were on the road, especially during that tour with 10 pianos, Grady would have everybody in stitches. It was a lot of fun. 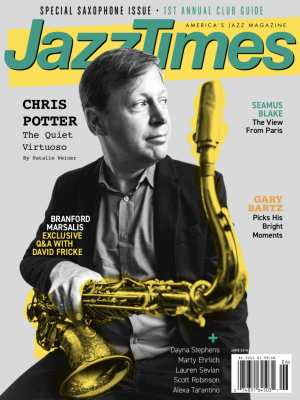 Read Lee Mergner’s obituary for Grady Tate at JazzTimes.com.